Lock in a great price for Hôtel Barrière L'Hôtel du Golf – rated 9 by recent guests! 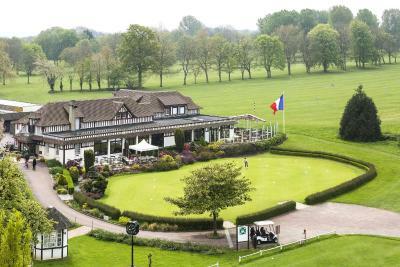 Well kept patrimony building, in a superb location, with vantage point over Deauville and Trouville, surrounded by apple trees and oaks scattered around the golf course. Great room, royal bed, good breakfast. Reception staff professional and helpful. What I liked the most ? Kindness of staff, all of them without exception. The food was good. The view was great and the bath tub was excellent! Great location high on the hill overlooking Deauville. 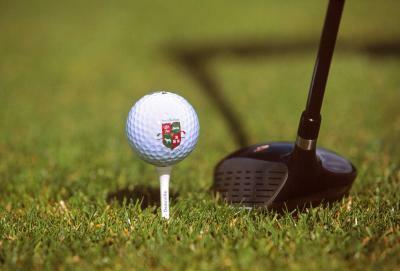 Fabulous golf course and facilities. Great staff and nicely appointed throughout. 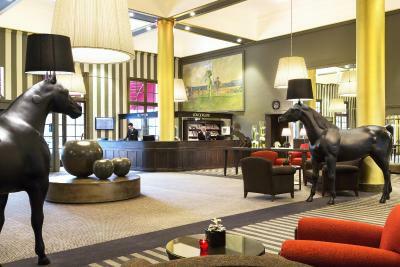 Stylish hotel and has a sense of place. Top hotel with a beautiful view ... Super friendly staff and super service .. Reception was very proffesional .. Concierge was very helpful and arranged all evenings for tasty restaurants .. We went to dinner at Hotel Normandie Barriere, which is located by the sea We were very nice received and after dinner only room number and name given by other hotel where we slept .. We are pleasantly surprised by the way of working .. 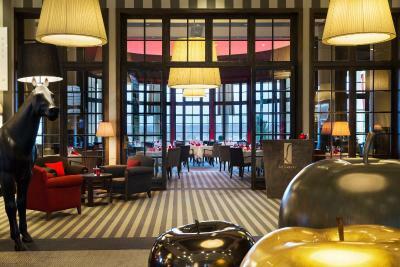 Many other hotels in Europe can learn a lot from your hospitality ... We will definitely come back here .. 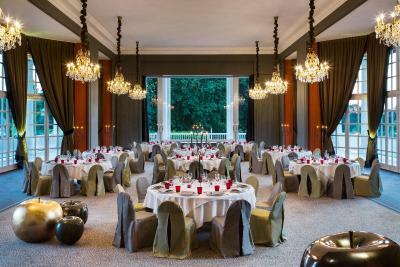 The room was fantastic but the food was very poor fOr the money! Also,we,were cheated as we had to,pay for breakfast even though we paid for an expense room! 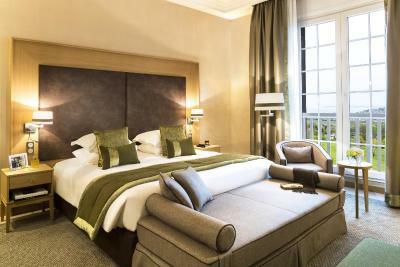 Lovely room overlooking the 18th green of the hotel golf course. Very pleasantly surprised to be provided with a dog bed and bowl in our room for our pet Spaniel. Whilst he wasn't allowed in the restaurant/breakfast room the staff were very helpful in making up a small table for us in the reception lobby area adjacent to the restaurant. All in all an excellent hotel. 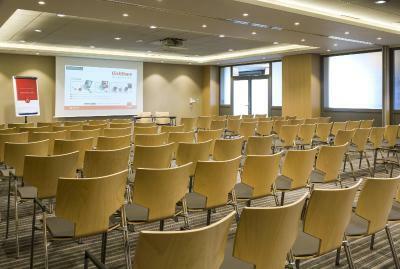 The refurbished room and spaces was super clean, spacious and modern. 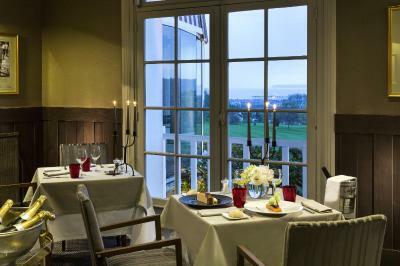 One of our top picks in Deauville.This hotel is set on the Deauville Barriere golf course, a 5-minute drive from central Deauville and Les Planches Promenade. 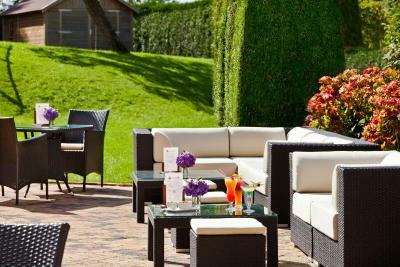 It has a garden and sunbathing terrace, an outdoor swimming pool and a spa. The Commandant Hébert Stadium is a 10-minute drive away. 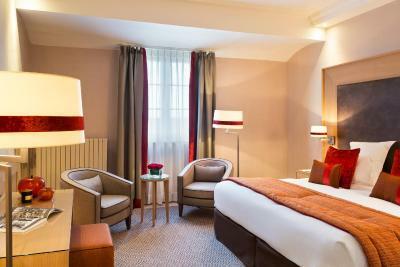 Hôtel Barrière L'Hôtel du Golf offers spacious rooms and suites, equipped with satellite TV and free WiFi access. Some superior rooms have a sea view. 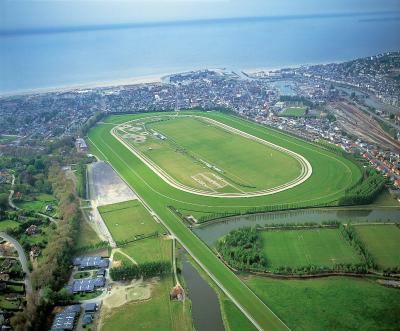 Deauville - Saint Gatien Airport is 6.2 mi from the property. 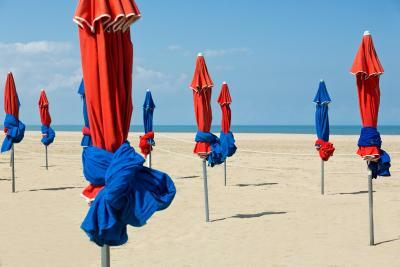 This property is also rated for the best value in Deauville! Guests are getting more for their money when compared to other properties in this city. 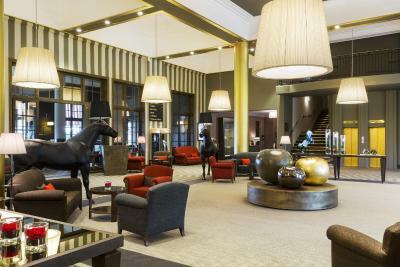 When would you like to stay at Hôtel Barrière L'Hôtel du Golf? Decorated in a modern and contemporary style, this room features a view of the outdoor pool and the surrounding countryside. 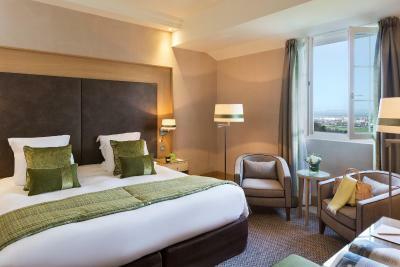 This attic room offers views of Barrière Golf Course and the Deauville-Trouville Bay. 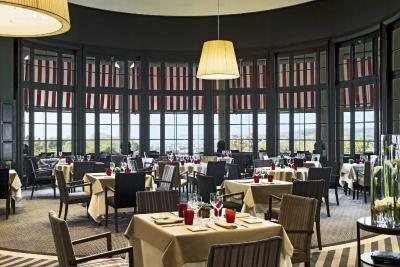 It is decorated in a modern and contemporary style. This contemporary room features a bathtub or a walk-in shower, upon request. It offers a pool or countryside view. 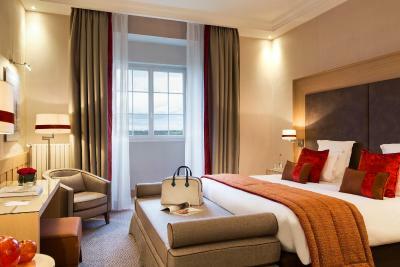 With views of Barrière Golf Course and the Deauville-Trouville Bay, this room is decorated in a modern style and features a bathroom with a bathtub. A walk-in shower is available upon request. This twin/double room has a cable TV, a mini-bar and a private bathroom with a bath. 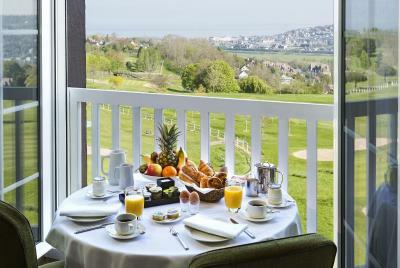 It offers views of Barrière Golf Course and the Deauville-Trouville Bay. 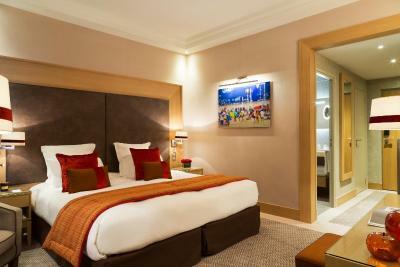 This spacious room has a satellite TV and mini-bar. 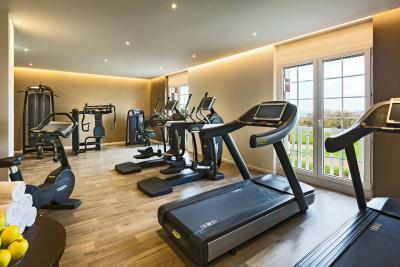 It offers views of the countryside or the swimming pool. The bathroom is complete with a bath and bathrobes. With an air-conditioned seating area, this suite features a mini-bar, satellite TV and a private bathroom with a hairdryer and a bath. 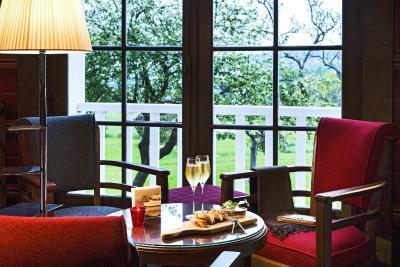 It offers views of Barrière Golf Course and the countryside. 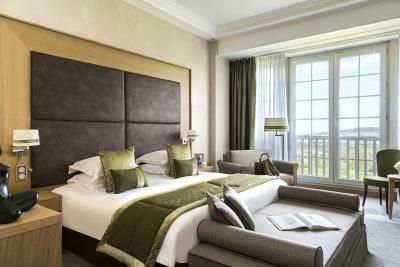 This air-conditioned suite offers a separate living area and a south-facing terrace with views of the Barrière Golf Course and the countryside. 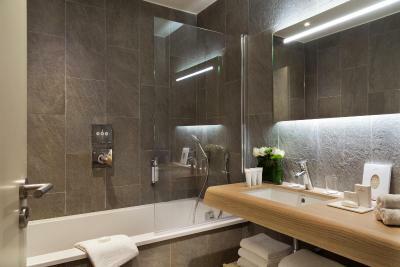 The bathroom is equipped with a bathtub with a rainfall shower-head. 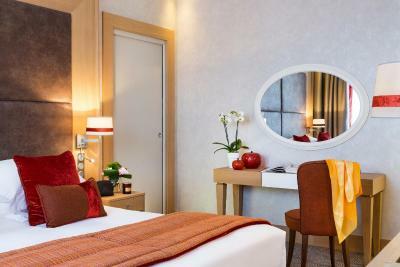 This suite offers 1 bedroom, a separate seating area and a private bathroom. 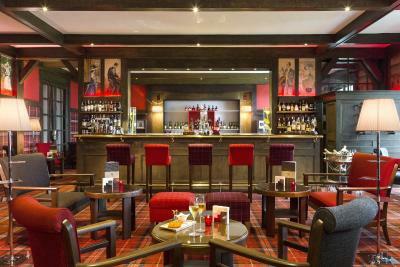 Free WiFi access, air conditioning and a 2 flat-screen TVs with satellite channels are provided. This air-conditioned suite offers a 148 ft² south-facing terrace, a separate living room and a private bathroom. 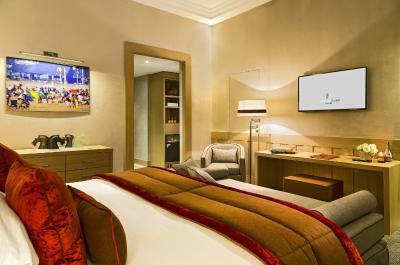 This suite features satellite TV, a mini-bar and view. The bathroom is complete with a bath and a walk-in shower. 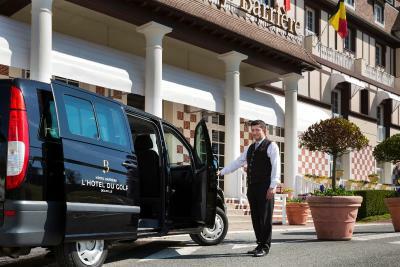 From November 1st 2015, the Hotel Golf Barrière in Deauville will be continuing with its renovation programme. The Hotel will therefore be closed until March 24th 2016 (included) in the interests of making you even more comfortable and contented. House Rules Hôtel Barrière L'Hôtel du Golf takes special requests – add in the next step! Hôtel Barrière L&#39;Hôtel du Golf accepts these cards and reserves the right to temporarily hold an amount prior to arrival. Hôtel Barrière L'Hôtel du Golf accepts these cards and reserves the right to temporarily hold an amount prior to arrival. Please note that the swimming pool will be closed from 06 November 2017 until 30 March 2018. Dinner was a disaster. No one would answer the in-room dining. Finally after I was able to place an order with the young lady delivering my wine opener, they failed to bring the correct sauce and eventually after calling and asking again, they just never returned. The Hamman was broken. When we entered what I thought to be a sophisticated and romantic weekend away, we instead walked into a sea of people holding a convention in the front area. Not in the town so need a car to get to the seaside. 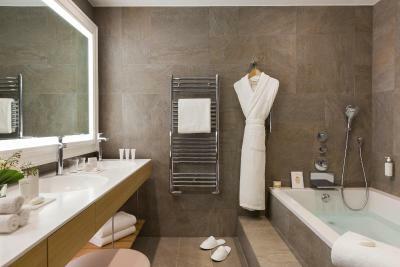 Bathrooms need updating and some of the room decor needs an uplift. Food tasted great but presentation was poor. Spa was almost locked away - booked a massage which was great, but much shorter than than the allocated time! The spa area is pretty very small and get crowded fast. Staff lovely. Very friendly and helpful. Room...lovely, clean and comfortable. Spa was super relaxing. 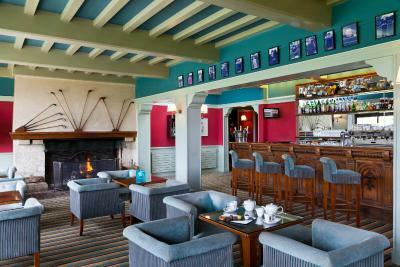 Lovely atmosphere in the bar and restaurant. Uncomfortable bed, Broken shower in the bathroom. You can not have this for such amount of money per night !